Last year, you guys voted Flying Witch your favorite 2016 Sentai Filmworks anime! This delightful supernatural slice-of-life show has captured our hearts with its gorgeous art and darling characters, and now it’s flying home to you in grand style! 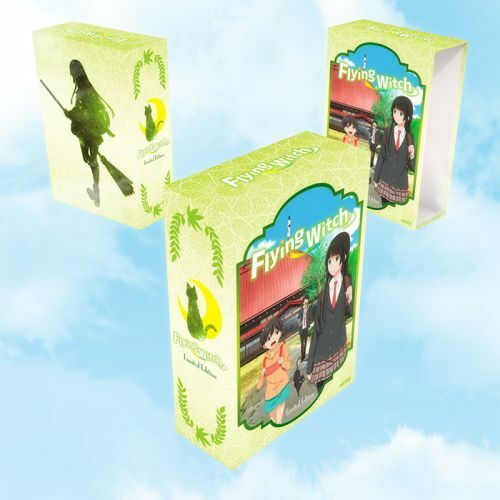 Check out what’s inside the Flying Witch premium box set! The beauty of the natural world plays a big part of the designs in Flying Witch, and the study chipboard box that protects the inside reflects the show’s love for nature and whimsy. 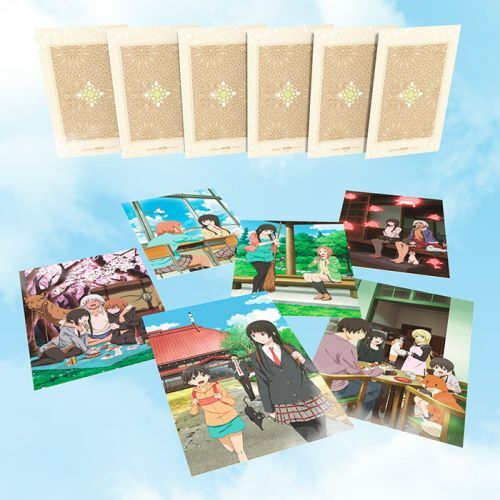 The premium box set contains both the DVD and Blu-ray edition of the series, complete with an English dub! Who do you think will be the voices Makoto and the gang? Soundtrack, stickers, and art cards, oh my! These otherworldly additions to the premium box set are sure to add some magic to your everyday life. 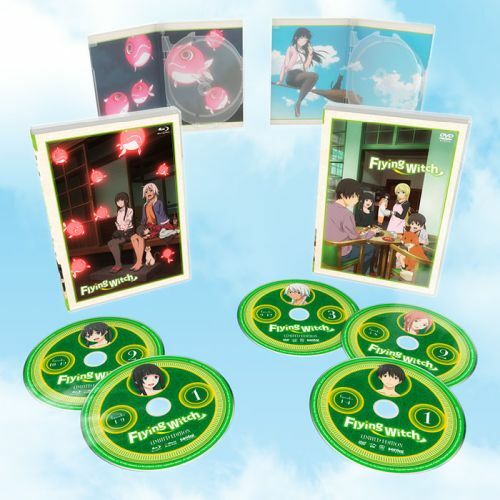 You can only find the Flying Witch OST in this premium box set! The show’s relaxing and soaring score is sets the perfect mood! Let’s face it: we all fell in love with Makoto’s black cat familiar, Chito-chan! This microfiber cloth may not be as helpful as Chito, but it’s sure to be useful as you travel the world. 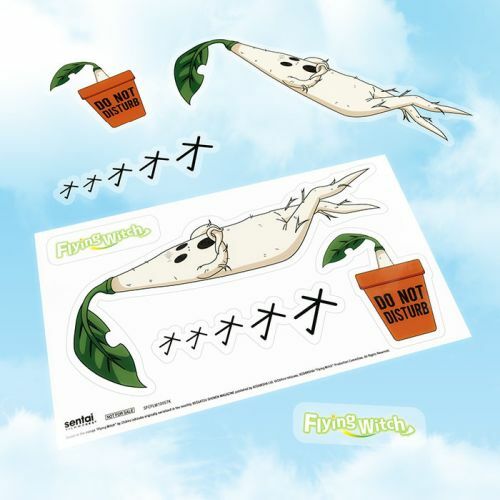 Another beloved icon of the show, the mandrake from Flying Witch has become a symbol of magic hiding before your very eyes. Stickers even come with appropriate mandrake onomatopoeia. These double-sided art cards feature the show’s iconic characters! Who are your favorite characters from the show? 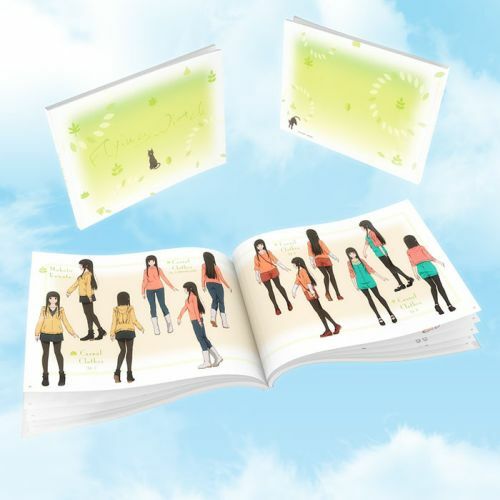 The full-color art book showcases the stunning art of Flying Witch. We can't get enough of how lovely the show's character designs, background art, and food are! This supernatural series is ready to claim a space on your shelf! Pre-order your copy before June 28, 2017 for free shipping and to save $5.00 off your order!